MOJAVE, CA, November 29 – Masten Space Systems has been awarded NASA’s Commercial Lunar Payload Services (CLPS) IDIQ contract vehicle to deliver payloads to the lunar service. CLPS is a multi-award contract worth $2.6B over the duration of its 10 year performance period. The contract funds launch, landing, and lunar surface systems with first missions targeted as early as 2021. Masten’s XL-1 robotic lander concept has been developed in partnership with NASA’s Lunar Cargo Transportation and Landing by Soft Touchdown (CATALYST) program over the last five years. XL-1 is a spacecraft featuring two payload bays and has the capability to deliver 100kg of payload mass to the lunar surface. XL-1 will be put on a translunar injection by a larger launch vehicle and once in lunar orbit will fire its four main engines to autonomously descend into a soft touchdown at a predetermined location on the lunar surface. Since its 2009 win of the Northrop Grumman Lunar Lander XChallenge, funded by NASA’s Centennial Challenges program, Masten has been developing and iterating space transportation systems. Masten has engineered and flown 5 rocket powered landers collectively completing over 600 vertical landings. Those flights have demonstrated numerous precision landing and hazard avoidance hardware and software technologies in partnership with NASA, the Jet Propulsion Lab, and multiple commercial companies. Today, the Masten and NASA team collaborating under the CATALYST program is integrating and nearing testing of XL-1T, a terrestrial demonstrator which serves as a precursor to Masten’s XL-1 lunar lander. With detailed design of XL-1 already underway, Masten expects have a developed landing capability by 2021 and anticipates being among the first on the lunar surface. The work pursued through CATALYST has been imperative for maturing key technologies of Masten's lunar lander, XL-1. Since 2014, Masten and NASA have been working together on designing, building, and testing subsystem components for XL-1. In 2019, Masten will be testing the hardware and software developed under CATALYST on our newest reusable flight vehicle, XL-1T, which will act as a terrestrial testbed for our lunar lander. Masten Space Systems is a private company founded in 2004 by CTO David Masten. The company develops innovative rocket technologies and is driven by the goal of lowering the barriers to space access. Masten Space Systems is based in Mojave, CA. If you would like more information about this topic, please visit www.masten.aero or email info@masten.aero. Mojave, CA – On September 30, 2016, Masten Space Systems successfully concluded the 13-month design, build, and test period for the first development unit of the Broadsword 25 rocket engine, funded as a technology demonstration under the Defense Advanced Research Projects Agency (DARPA)’s Experimental Spaceplane (XS-1) program. This first phase of the engine development effort included commissioning Masten’s largest mobile engine test stand and firing of the company’s highest-thrust rocket engine to date. The Broadsword 25 is a liquid oxygen- and liquid methane-propelled rocket engine with a full-throttle sea-level thrust rating of 25,000 lbf. Masten initiated development of the Broadsword in August 2015, as a cost-effective reusable engine suitable for use in both boost and upper-stage applications. Broadsword employs a novel dual-expander cycle, which allows high efficiency at sea level while maintaining the benign turbomachinery conditions characteristic of traditional expander cycle engines. It is made primarily via additive manufacturing, or “3D printing”—a technology that enables complex design geometries, reduces part count by an order of magnitude, and compresses manufacturing times, all of which enable rapid engine development. The goal of this initial hot-fire test campaign comprised ignition and startup sequence development. The effort concluded with demonstrating six successful engine starts. Masten has subsequently begun the design and build of a second development unit, incorporating lessons learned during manufacturing and testing, and plans to proceed with main-stage hot-fire testing in the next phase. Masten aims to continue Broadsword development over the course of 2017 and 2018 in collaboration with NASA under the Tipping Point program, and anticipates moving into flight qualification after the conclusion of that effort. DISTRIBUTION STATEMENT A. Approved for public release. Distribution is unlimited. That is a question that comes up from time to time when people see Xaero-B and Xodiac. Both vehicles seem to be doing what other rocket companies have already *demonstrated* and to greater lengths at that. The underlying premise of the question is this: you are not seeing anything that hasn't already been done. And there is some truth to that on the surface, the VTVL part is not any different. It is in this perception of us vs them that the question sort of belies the real activity at hand. Developing rocket technology is more than a skin deep proposition. So to frame this conversation and to add some early perspective into it, one thing to be considered is that Xaero-B and Xodiac are technology demonstrators. With this write-up, we want to share some insight on why people come to Masten for flight testing while also shedding some light on the 1s and 0s of what you can’t see that makes it all possible. For a hardware and software developer, it [the why test with Masten?] is usually a matter of very focused resource allocations and the cost of building a rocket-powered test bed just may not fit the budget or longer-term need. Those developers whether individuals, research groups, academia or a government agency have a need to prove out and or advance the TRL of what they have. Either through direct funding or with some help from a program, if selected, like NASA's Flight Opportunities Program (NASA FOP) their technology is matched with a flight service provider who can meet their needs. This then leads to the technology getting rolled up into a payload that is configured for attaching to the flight vehicle. NASA’s Flight Opportunities program strives to advance innovative space technologies of interest to the agency while also stimulating the growth and use of the U.S. commercial spaceflight industry as well as supporting capability development in the suborbital and orbital small satellite launch vehicle market. currently operate two ETAs named Xaero-B and Xodiac. Our vehicles aid us in the design of technologies for rockets, space applications and landers by allowing one to test in ways you just can't test on an airplane, helicopter or in some cases even other VTVL rockets. And we have made both vehicles available commercially as a test bed service where we can and have 'handed over the keys' for a technology developer's use. The goals for any payload flying with Masten are typically to test early in the design cycle, to test often, to buy down risk prior to final implementation, and to not harm the payload in the process. Now, not every payload we fly interacts directly with the vehicle, but usually that is where the interest is in what we offer; a tailored flight test environment and the ability to interface directly at the GN&C level of the vehicle. With this comes a flexibility to turn an in-flight payload failure into an agile and iterative development environment. More about this in a bit. For our payload definitions- A payload that is interfaced with the vehicle may be open loop or closed loop. Open loop means we are the active flight control system. 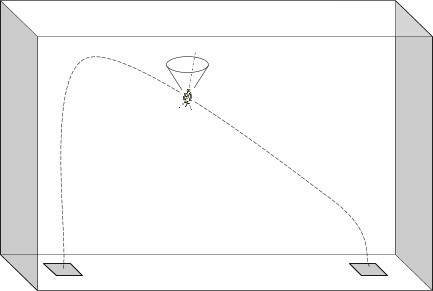 Closed loop means the payload is the active flight control system. Payloads that are open loop while not in direct control are still part of an immersive test campaign. Jointly we collaborate to craft a unique flight trajectory that meets their needs and fits inside the capabilities of the vehicle. Then Masten will fly that trajectory with their payload onboard while they carry out their mission. Usually, this is a precursor to closed loop flight. Payloads that come to Masten for closed looped flight testing get a sandbox of flight performance inside which they can ask the vehicles to do just about anything. Some may only want to do the 'GN' part, while some may need to do a full-up demonstration of their hardware and GN&C (Guidance, Navigation and Control) with an actual VTVL rocket. Whatever the level of interaction may be we give those payload providers a platform to do that testing with. Given that these are technologies in development it is possible that the payload may want to land where we know we can't land, fly a trajectory that would deplete the fuel supply or otherwise just be outside of expected behavior. In offering this service, we didn't want to lose our vehicle due to a payload failure so we needed a way to mitigate the risks of testing closed loop payloads and to make sure we get our vehicle back the way it left. To that end, we have implemented onboard the vehicle a kind of hypervisor system that we call SENSEI™, a virtual guardian of sorts. It is constantly monitoring in real-time what is being executed on the vehicle such that if by direction of the payload the vehicle violates predetermined boundaries we can revert control back to our native GN&C system. Our system will execute an 'Abort', which for us just means to cancel the current flight trajectory and initiate a safe vehicle recovery to landing as soon as possible. And while we have never really talked about it, for years now and over hundreds of flights, our vehicles have had this autonomous precision landing 'Abort' capability with real-time divert and landing pad select options. The combined test team works very hard so that this 'Abort' scenario never comes into play. But if it is needed we get the vehicle with payload back to try again. This is important for our own needs while also a benefit to our payloads. It is this freedom to take risks in testing that is the crux of why people test with Masten. Payloads can confidently push the boundaries in a way they could not otherwise. Ok- you said it is *why* payloads fly with you but I still don't understand why would anyone *want* to test this way. Why use a terrestrial test bed to aid development when you can use very high fidelity simulations, extensive hardware-in-the-loop testing, vibe testing, build an Iron Bird and so forth? Good question and points made. Those are ways of testing that are valid early in the development phase, as a part of ongoing hardware/software maintenance, to check out block configuration changes later on and so on. They are tools of testing diligence that reduce the risk. But the question still remains, why fly on a rocket-powered test bed at all? Well, it is simple really. Flight testing is the only place where everything is rendered in perfect HD. Physics are modeled to the utmost level of precision. Variable permutations are intrinsically infinite. Flight testing is an assessment of just how accurate all of the analytics and ground-based testing were. SENSEI™ allows safe testing of new GN&C components, systems, algorithms, software and a fully redundant system to fall back to. Fully autonomous flight safety system with flight to safe state. Demonstrated in flight recalculation of trajectories. Demonstrated touchdown accuracy of inches. Navigation sensors & filters allow sub 1” position knowledge. Our payload developers recognize that they don't intend to put their test bench, support hardware with development software into commercial service. When that transition from lab to real-world implementation happens, failures can be expensive - and not just financially. Before you traveled to the Moon or Mars if you had the opportunity to test your integrated solution in a 'representative' configuration, why wouldn't you? We recently tested on Xodiac a payload called COBALT. The flight testing of that sensor package with its capability to provide an unprecedented level of landing precision, where GPS or any other existing aids are not available, is a technology option that until now- no one had plain and simple. To routinely access space and exoplanets we will need options for reaching areas of interest using precision landing to be right where we need to be and on-site capabilities for when we are safely there. When you boil it all down to what we do and what virtually every other rocket technology developer does, it is very much complementary. We need to be successful at what we do and we need them to be successful at what they do. Space with all that it holds beckons to us. And we are going to need lots of options to explore it. We at Masten are going to space, to the Moon and beyond. Xaero-B and Xodiac are part of solving the technical challenges in doing that. For us, it goes without saying that we are proud of what we do and we are pretty dang good at it if we do say so ourselves.